Last week I went back to Long Barn. It was one of those autumn days that start out grey and gloomy but slip quietly into fabulousness while your back is turned. This is the time of year when you need to be paying close attention. Because while you are looking in the other direction invariably something wonderful is happening behind you. 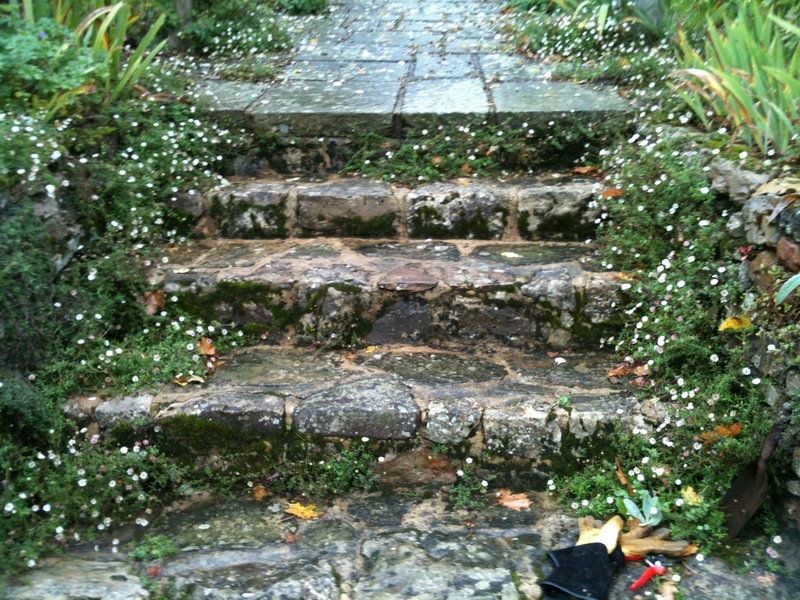 It was raining as we started out cutting back the daisies – erigeron karvinskianus, the Mexican daisy. This innocuous little sparkler has been an unexpected star for me this year. It caught my eye in the nursery at Beth Chatto’s garden when I visited in May and I bought three pots of it for my own garden. There it was again in Majorca in June, planted in drifts under olive trees in the garden of one of the newly restored villas on Pine Walk, looking effortlessly gorgeous. And when I went to Long Barn in August for my week of work experience it was everywhere, softening the paths and steps, flowing across the terrace. 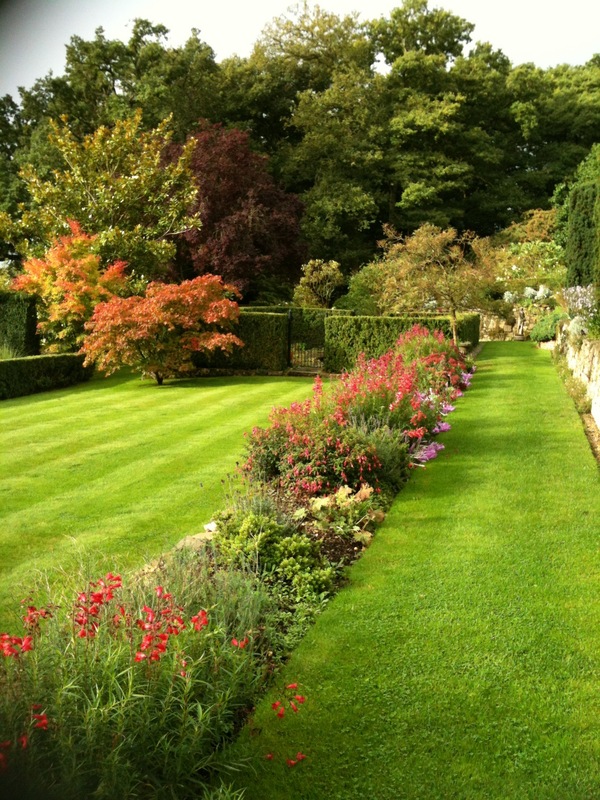 But last week, under the instruction of Richard, the head gardener, Anne and I were putting it to bed for the winter. I felt rather cruel, the little daisy was still looking sprightly after a long hot summer of hard work. But it had to be done, so that it could take a breather before doing its thing again next year. So we were outside in the rain…. And at one point we had to take shelter in the greenhouse, where Richard gave us a quick lesson in propagating plants from non-flowering shoots. And then back outside and on with the daisies. And while we were working the sun came out. Suddenly the garden was vibrant and glowing. 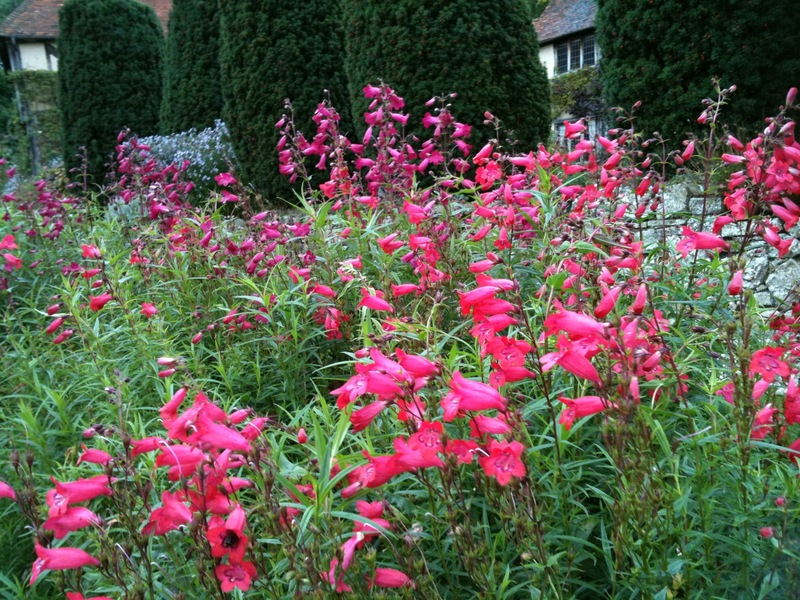 The penstemons in particular were jewel-like. 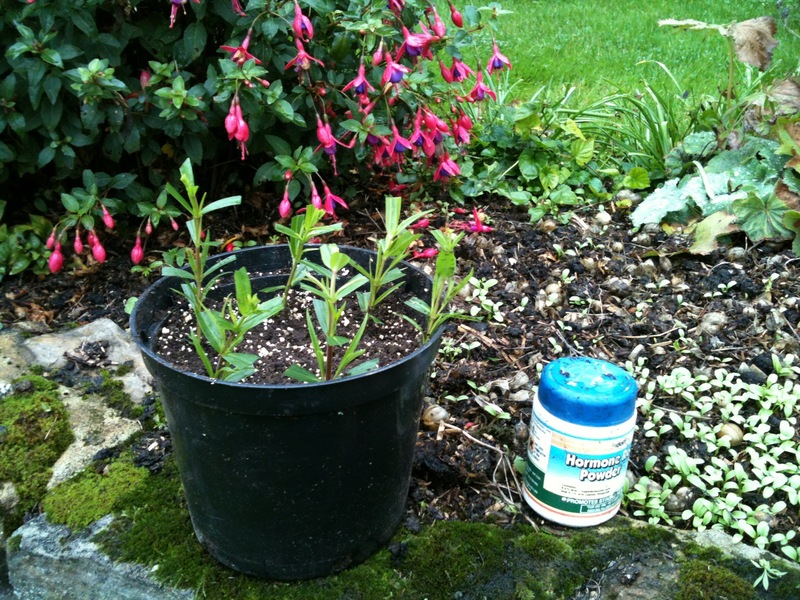 So Richard allowed me to take some cuttings, and following his instructions I potted up some babies of my own. They’re on my window sill now. It’s a wonderful thought that next year I might be able to have a sprinkling of Long Barn magic in my own garden.